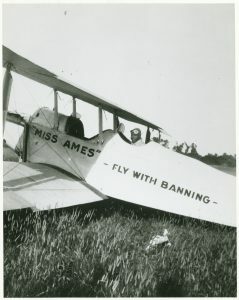 James H. Banning attended Iowa State and lived in Ames, IA in the 1920s. He went on to become a history-maker in aviation. 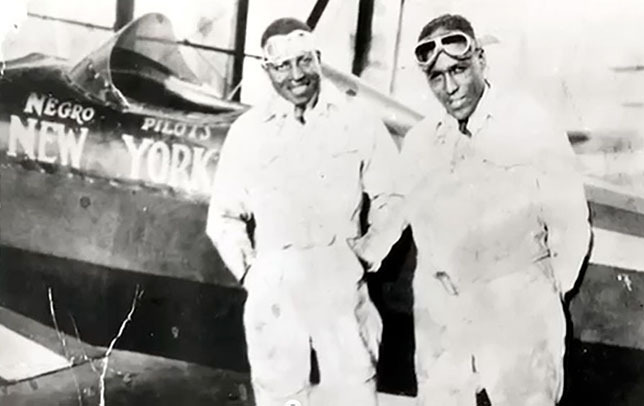 It’s aviation history, African-American history and Iowa State history. And it all comes together in a special live, interactive presentation with Broadway actors when “The Flying Hobos” land in Howe Hall Friday, February 9. The life and achievements of James H. Banning will be celebrated in the special performance at 10 a.m. in the Alliant Energy-Lee Liu Auditorium. 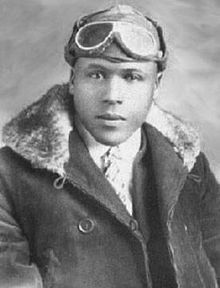 Banning, the first African-American pilot to complete a transcontinental flight and to receive a commercial pilot’s license, attended Iowa State for one year in the early 20s, majoring in electrical engineering. During his time at Iowa State Banning was an influential figure to six roommates, and especially Fredrick D. Patterson, who received a Ph.D. from Iowa State in veterinary medicine and went on to found what became the famous Tuskegee Airmen unit of World War II, in addition to becoming the president of what is now Tuskegee University in Alabama. Banning (right) and his co-pilot Thomas Cox Allen will come to life with “The Flying Hobos” Broadway actors Friday, Feb. 9 in Howe Hall on the ISU campus. The touring troupe that includes Broadway actors Jeantique Oriol as Banning, and Lamar Cheston as Thomas Cox Allen, Banning’s co-pilot on their transcontinental flight, bring the historic figures to life on stage, and then take part in audience interaction. The performance is sponsored by the Iowa Space Grant Consortium, NASA and the Iowa State University Department of Aerospace Engineering. The performance is free and is open to all Iowa State University students, faculty and staff and the general public. 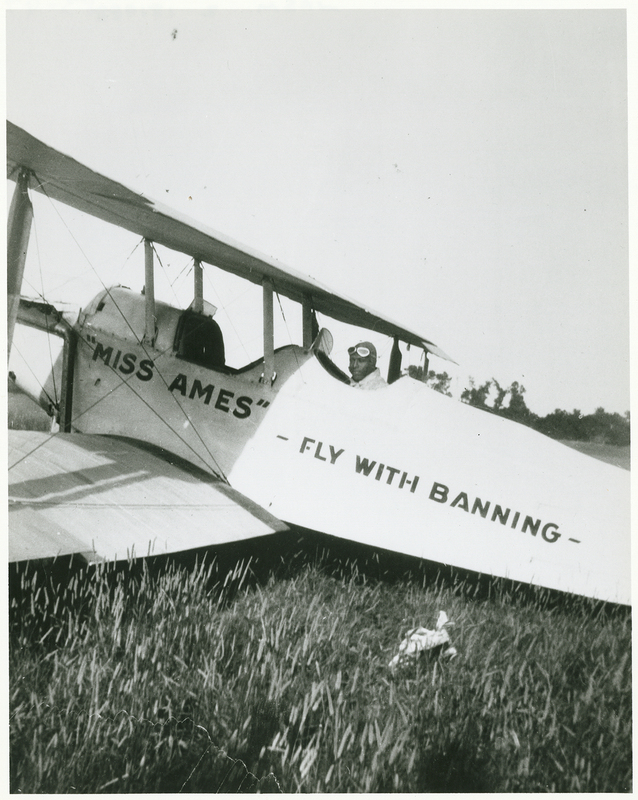 Banning’s “Miss Ames,” named in honor of his time in Ames and at Iowa State. that he named “Miss Ames” in honor of Ames, IA. He built the plane with random parts, including an engine from a crashed plane and various plane and auto part scraps. Spurred by the belief that freedom in the sky would help create freedom on the ground, Banning and Allen made their historic cross-country flight in a two-seat biplane in 1932, naming themselves “The Flying Hobos.” The journey took 42 hours of flight time, but three weeks in total, as the duo was forced to raise money for fuel and maintenance at each stop. The following year, Banning died at the age of 34 when a plane he was a passenger in crashed during an air show in San Diego. The event is produced by The Greatest Story Never Told, an organization that inspires the youth of today by telling the stories of the unknown heroes of yesterday. Learn more about Banning on the Greatest Story Never Told web site.